In the month of Maghar, those who sit with their Beloved Husband Lord are beautiful. How can their glory be measured? Their Lord and Master blends them with Himself. Their bodies and minds blossom forth in the Lord; they have the companionship of the Holy Saints. Those who lack the Company of the Holy, remain all alone. Their pain never departs, and they fall into the grip of the Messenger of Death. Those who have ravished and enjoyed their God, are seen to be continually exalted and uplifted. They wear the Necklace of the jewels, emeralds and rubies of the Lord's Name. Nanak seeks the dust of the feet of those who take to the Sanctuary of the Lord's Door. Those who worship and adore God in Maghar, do not suffer the cycle of reincarnation ever again. 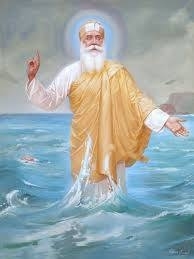 Guru Nanak came to redeem the Kalyug. ਸਰਬੱਤ ਸਾਧ ਸੰਗਤ ਨੂੰ ਸਾਹਿਬ ਸ੍ਰੀ ਗੁਰੂ ਨਾਨਕ ਦੇਵ ਜੇ ਦੇ ਪ੍ਰਕਾਸ਼ ਪੁਰਬ ਦੀਆਂ ਲੱਖ ਲੱਖ ਵਧਾਈਆਂ! Guru Piari Sadh Sangat ji, Happy Gurpurab! 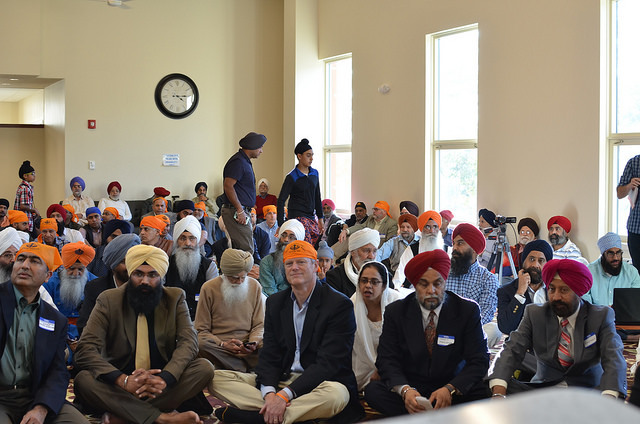 On the afternoon of October 14, 2017, Governor Charlie Baker Inaugurated the new Gurdwara Sahib built in Westborough. Congressman Jim McGovern, Rep. Hannah Kane and Rep. Kim Fergusan, Worcester County Sheriff Lewis G. Evangelidis, Westboro Police Chief Al Gorden, Selectmen and town officials from Westboro and neighboring towns, and many representatives from different faiths, churches, synagogues, mosques and temples had gathered at the Gurdwara Sahib. In his speech, the Governor welcomed and praised the Sikh Religion for its virtues and services to the community. He compared them to many other faiths and said their beliefs relate to those of other religions. Special Diwan was held on Oct 19th to celebrate Bandi Chorr Divas and Diwali. 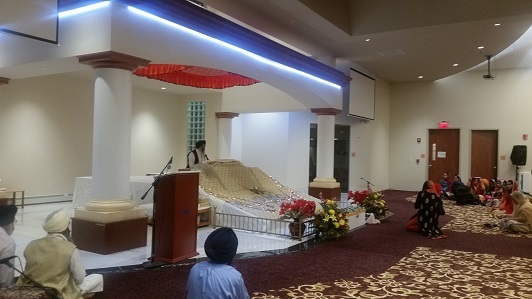 Sangat visited the new Gurdwara Sahib in large numbers to pay their respects to Guru Granth Sahib ji. Bhai Amardeep Singh ji and sangat members recited the divine Gurbani Kirtan and talked about bravery of Shri Guru Hargobind ji and importance of Bandi Chorr Divas. If one can lights the Diya’s (light) of shabad in one’s heart then the darkness of ignorance will be dispelled! Please donate to finish Gurdwara Sahib projects on time. Click on the icon or visit http://nessc.org/ and use Paypal or any Credit Card. Also check out our new website.